The ambition of players knows no bounds in the modern era. Most talents are aware that if a club doesn’t make apt use of their services, a transfer can always be forced one way or another. While this is increasingly common with big names and high-quality players, those individuals who sincerely believe that a big move is theirs can also make use of this route. And it now appears that this is what one Crystal Palace player seems eager to do, with a move that will better his position in London. As per Mirror, Wilfried Zaha is keen on departing Palace this window, and could put in an official transfer request soon. The report believes that Chelsea is the destination that the 25-year-old prefers, and he has allegedly told his teammates the same. But Palace will only sanction a move if a huge offer arrives from the Premier League giants. Further, it is reported that Zaha has rejected the club’s advance at renewing his contract and bettering the package he currently earns, with fresh terms giving him up to £125,000-a-week, a decent step-up from a recent contract he signed that sees him earn £100,000-a-week currently. The Ivory Coast international had a spell to forget at Manchester United, where loan spells and bench time frustrated him. In fact, it is believed that he rejected an advance from Everton earlier this window merely due to the experience he had up North with United, and that London is the region he wants to continue in. 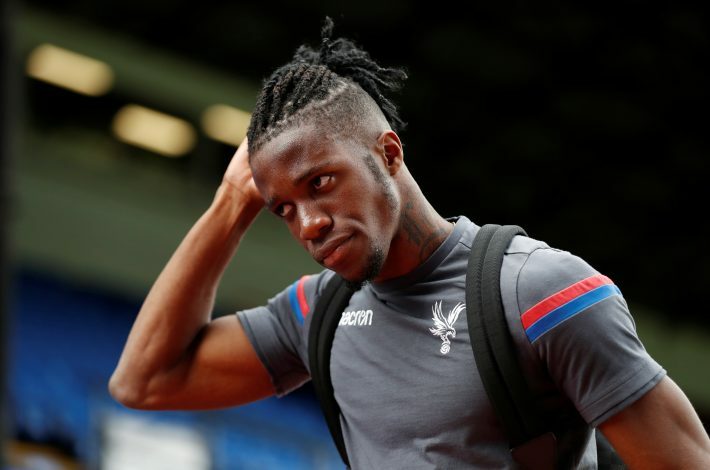 Zaha’s performances were crucial in giving Palace some much-needed confidence in the Premier League, having scored 9 goals and created 3 more last season despite being plagued by injury. As of such, the Eagles may not be too keen on letting him go, but a personal desire can speak volumes these days, particularly if Chelsea too, are interested.